When you hear the word Mimosa, you think of the drink, right? That must have drink for brunches with champagne and cold orange juice. 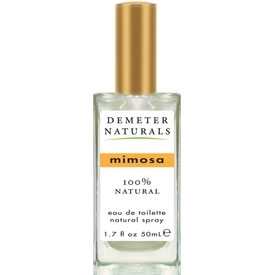 However, this Natural Mimosa Cologne comes from the beautiful Mimosa flower. It's striking arrangement makes it looks like a mini fireworks display. This Organic Mimosa Scent is floral and energizing. What makes this product organic? It is one hundred percent all natural essential oils. The alcohol that is used is naturally fermented from corn. It is made with distilled water. It is made with no artificial colors, synthetics, or phthalates.